At the Law Office of Jennifer Kirkhart Curcio in Gainesville, Florida, clients are met with an attorney who truly cares about guiding them through family law issues. Ms. Curcio has been practicing law since 1997 and is a certified collaborative divorce attorney. As such, she looks for ways to resolve a client's case without having to go to litigation. Finding a solution amicably is the goal; however, when negotiations are fruitless, Ms. Curcio is prepared to take the matter to trial. Family law issues are inherently personal, as they involve some of the closest relationships people have. Ms. Curcio does an exceptional job of listening to clients when they share their stories. She understands that someone's future and finances are at risk when these legal matters arise, and she does everything in her power to protect her clients' rights. Through striking a good balance between compassion for her clients and an aggressive pursuit of justice, she is able to reach favorable outcomes consistently. A member of The Florida Bar, Ms. Curcio is also active with the International Association of Collaborative Professionals and the Gainesville Collaborative Divorce Team. 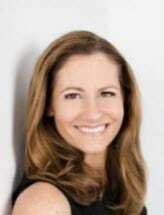 The Law Office of Jennifer Kirkhart Curcio accepts credit cards.